Hop on a Yamaha Waverunner with your guide to see Marathon in a way that you want to ride. This tour is designed for one-hour. You tell us what you are most interested in, and we will make it happen. If you enjoy "the ride" and are not interested in the sights around Marathon, our guide is there for you. 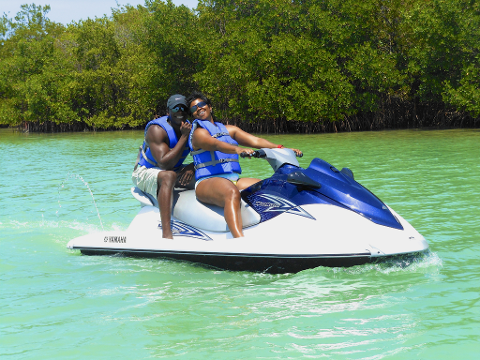 If sightseeing interests you, then tell us what you are most interested in seeing, and we will get you there, or we may recommend our Island Jet Ski Eco Tour if you have the time and it meets your schedule. All drivers must be born before January 1, 1988 or be 21 years of age AND have obtained a Boater Safety Course certification approved by the State of Florida, and the NASBLA (National Association of State Boating Law Administrators) and recognized by the United States Coast Guard. 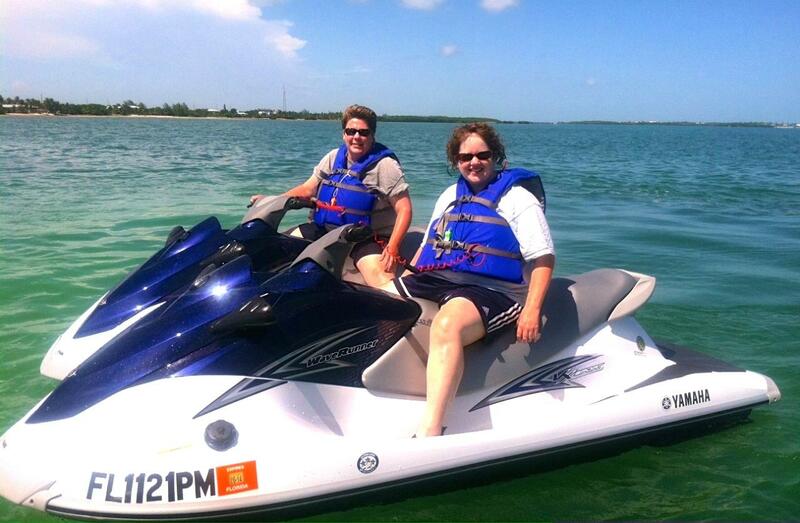 Capacity: 3 jet skis. 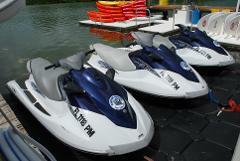 Each jet ski can operate with a maximum weight limit of 480 pounds and no more than 3 persons per waverunner. Check-in time: Please check in 30 minutes before the activity start time. If children are riding, BOTH FEET must be able to SIT FLAT ON THE DECK of the ski from a proper seated position. If they cannot reach the bottom of the ski, they are not allowed to ride. Guests cannot participate if pregnant, under the influence of drugs or alcohol, or have any existing medical conditions that put them or others at risk.